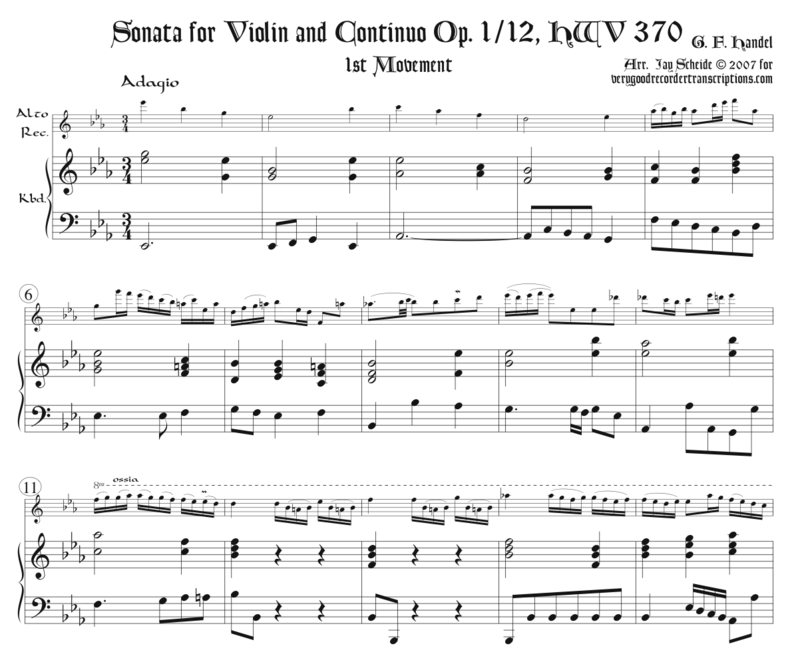 Originally for violin & basso continuo in F major, transposed here in two versions—one in Eb and one in D. The two have different qualities that may appeal to different tastes and abilities. Note that the bass lines of both versions go below cello C, the Eb version to Bb and the D to low A. There are high F#’s, Gb’s and A’s and Ab’s, and low E’s suggested but always with options to avoid them. It should be noted that Handel’s authorship of this Sonata is considered doubtful according to the latest Grove dictionary, but there is no composer who has been seriously put forward as an alternative.